Stunning purple silk bodice with hand-sewn lace in excellent condition from the 1880s, in Renaissance revival style with peplum in rear. Structurally sound, with boning in place. The only condition issues are slight underarm staining. 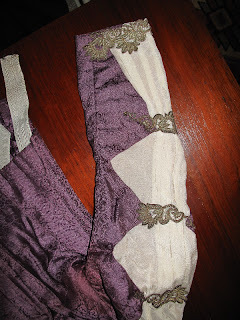 It has the original clips and straps to attach to a gown or dress. 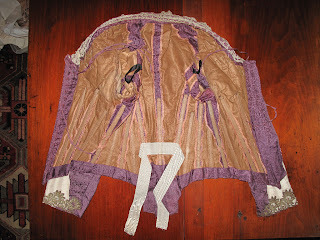 Will make an amazing addition to an antique clothing collection and still wearable. Breathtaking original piece! 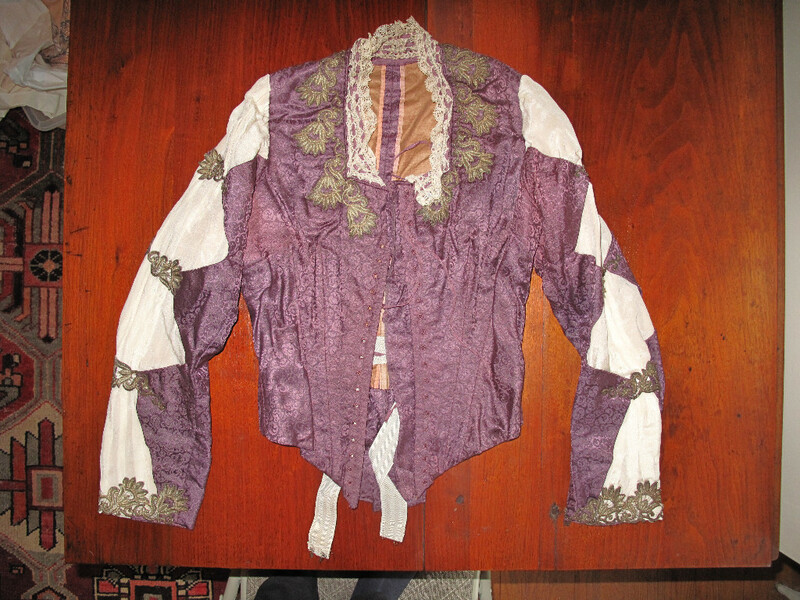 The styling is more 1870's but what gets me is the inside...I almost want to say this is just a very awesome re-creation and not the real thing. Very cool! 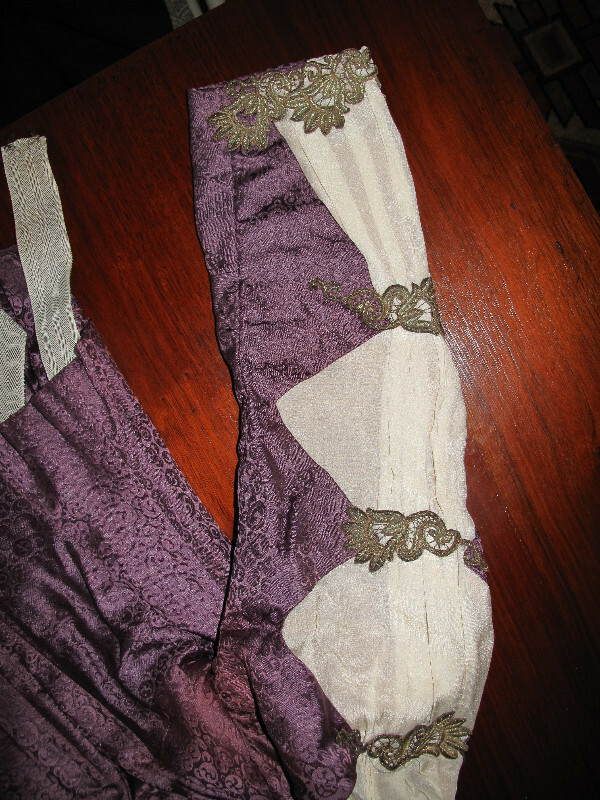 I've seen the seams bound like that in top-quality clothing, but this looks almost like a fancy dress bodice. I can't get the photos big enough (and clear enough while bigger) to make a serious guess. I wish the seller took a close up of the interior. Although I love seeing the entire interior, the waistband, hanger ribbons, and a lot of other details look "new". The waistband is still a bright white - not aged in the slightest- which is what concerns me. 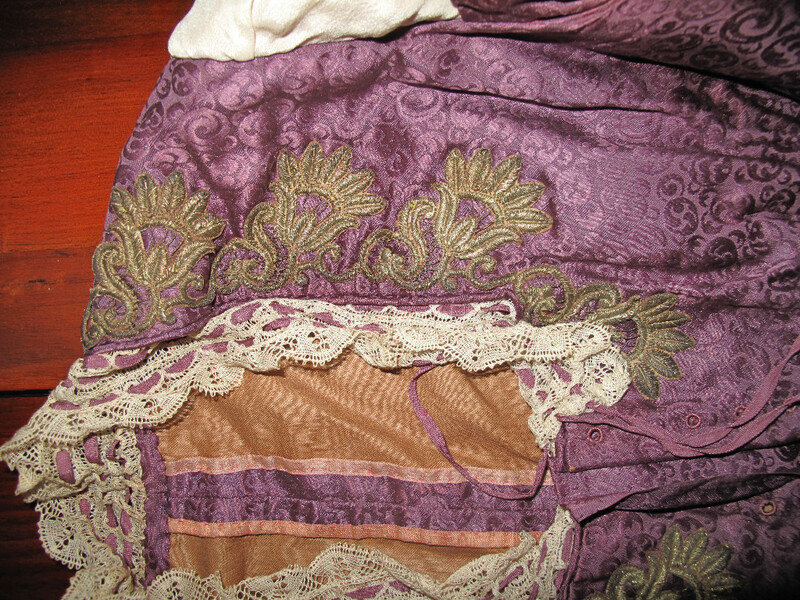 It all looks like it came just out of the shop and hasn't been in the bottom of Grandma's hope chest for the past 135 years.